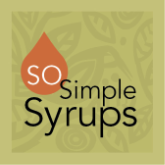 SO Simple Syrups are made in Seattle from 100% organic and locally sourced ingredients. They are the perfect way to add the taste of herbs and spice, or the heat of peppers, to craft cocktails or nonalcoholic refreshments. 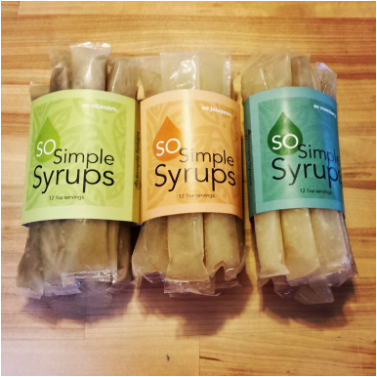 Simply cut one end and slide the 1 oz portion of frozen syrup into your drink of choice. The portion melts at room temperature and if added to liquor will chill it nicely. You can also crush the portion with a fork for instant drinking and ice crystals. In hot drinks simply thaw ahead or add frozen to make piping hot beverages drinkable. 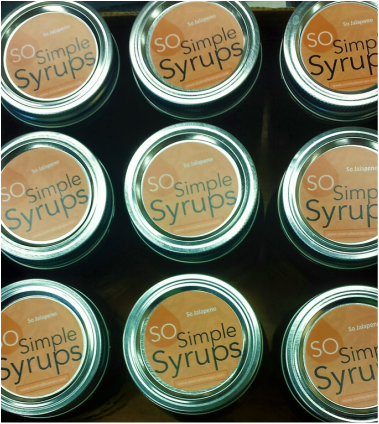 Jars are the perfect way to share SO Simple Syrups with friends by making pitchers of drinks. Simply pour the contents into a pitcher and use the jar to measure out additional ingredients. For incredible margaritas: 1 jar syrup + 1 jar of lime juice + 1 jar of tequila + splash of orange juice. What could be more simple? You may also use the contents of the jar in smaller increments, following recipes as outlined for the single serve 1 oz portions. Refrigerate after opening and use within 2 weeks.